Mobilo allows children to use their imagination and creativity to construct an infinite number of models with basic geometric elements. Lead children to posing questions, solving problems and engaging in higher order construction. 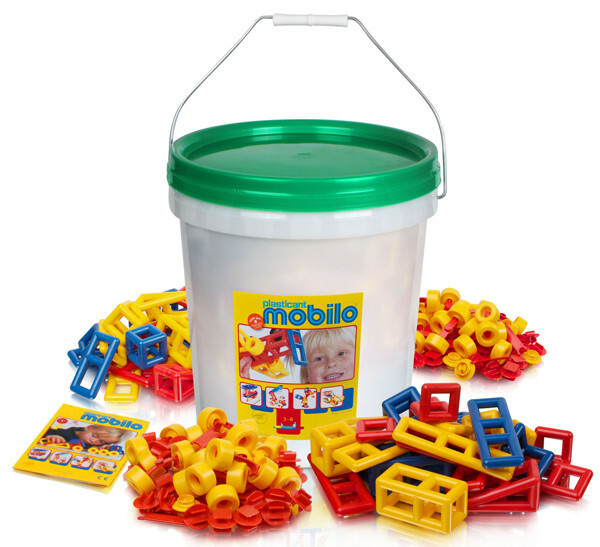 This giant bucket set includes 416 durable plastic components in bright colours; 4 x Geometric packs, 4 x Connector packs in a storage bucket. "This is a great hands on colourful resource which students love."